The Edmonton Classical Guitar Society has an enviable record of bringing both Canadian and international classical guitarists to Edmonton. They are, for the most part, familiar names to the guitar aficionados who form the majority of the Society’s regular audiences, but not, I think, to a wider general public. I have long thought that their concerts would be enjoyed by a much wider musical audience (such is the nature of the instrument), but here, I suspect, there is something of a disconnect. That lack of name recognition amongst a wider public perhaps works against their attending. If so, they should not worry: I haven’t yet been to a Society concert that hasn’t met its high standards, and provided an enjoyable musical evening. Last Friday (March 3) Alberta College’s Muttart Hall saw the return of the French guitarist Judicaël Perroy. Now in his 40s, he was a child prodigy, and came to international attention when he won the 1997 Guitar Foundation of America Competition. He has been subsequently celebrated both as a recitalist and as a teacher (five of his pupils have been first prize winners at the GFA competition). He has done that teaching in France, but only two days before this concert, the San Francisco Conservatory of Music announced that he has been appointed to their faculty, starting his own studio there this Fall. His style is generally introverted, thoughtful, almost with a sense of isolation. The colours are softer – there was virtually no bright attack or edge in this concert. The clarity in passages demanding different simultaneous voices – often of different colours and shades – is outstanding, and a real pleasure to listen to. At times – and well before the Bach – I was reminded of the sound of the lute. He opened with Sor’s well-known Fantaisie élégiaque, a ruminative performance until the fuller broken chords near the end, much less bold than some I have heard, but very persuasive, especially in the lovely tone in the bass line. Johannes Dubez’s Fantaisie sur des motifs hongrois (Fantasy on Hungarian Themes) is less well-known. Dubez was a 19th-century Austrian virtuoso on both the guitar and harp, and the Fantaisie includes music based on a piano work by Benjamin Egressy, the well-known Hunyadi-March (from the opera Hunyady László (1844) by Ferenc Erkel), and the equally recognizable Rákóci March. It’s a kind of guitar-recital-meets-salon music, pleasant enough, but unremarkable, though I can see its variety will appeal to performers. I’ve always felt, too, and perhaps unfairly, that guitar of the Paragyuan virtuoso and composer Agustin Barrios, currently popular in guitar recitals, appeals more to performers and guitar players than to general audiences, and this performance of his Choro de Saudade, while authoritative (and pleasant enough) didn’t alter my bias. With Bach’s Suite, BWV 997, originally written sometime before 1741 as the Partita in C minor for lute, the recital moved into a different musical world. It is a substantial work, with a powerful da capo fugue for the second movement, with the opening 48 bars reprised after a middle section. This was a compelling performance, with translucent voicing in the fugue, and an effective variety of colours and tones in the closing Double. Two popular Albeniz works closed the recital, and the only slight disappointment was Perroy’s performance of Villa-Lobos’ Suite Populaire brésilienne. Written between 1908 and 1912, this suite reflects Villa-Lobos’ own experience of playing the guitar with Rio street musicians. Here Perroy’s rather laid-back, introverted style was a disadvantage, for while these little works have an appealing simplicity, they nonetheless need a little more colour and a little more sense of the dance to have their full effect. The Edmonton Classical Guitar Society’s next recital on Friday, April 7th features another French guitarist. 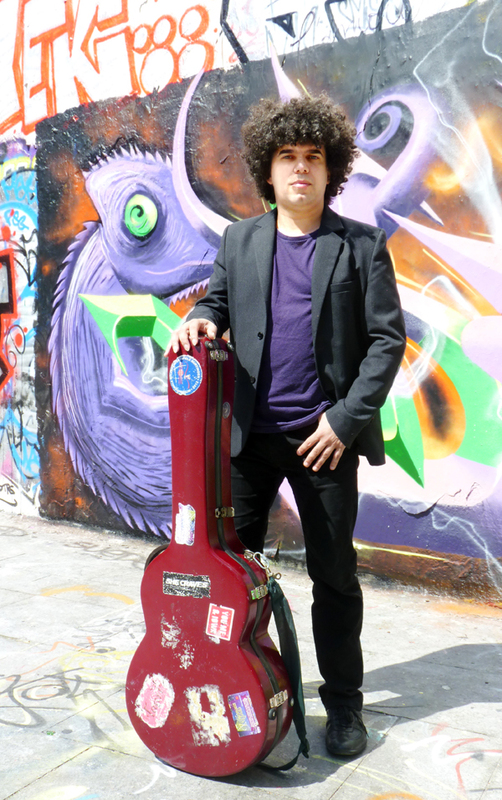 Thibaut Garcia won the 2015 Guitar Foundation of America International Artist Competition, and his recital is part of the North America tour, one of the GFA competition prizes.